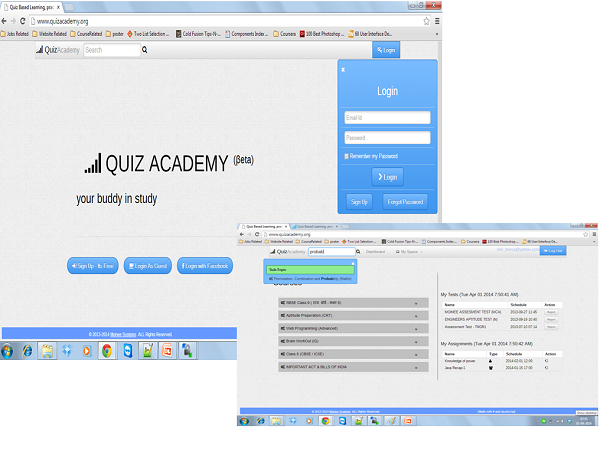 Create quiz sets on the fly and assign to class for practice or test. [Click Here] To see the live working demo. It is designed to provide simplified, interactive, quiz based, micro- learning platform to 9th class students.It has created interactive quizzes covering the complete 9th class NCERT syllabus of all subjects. 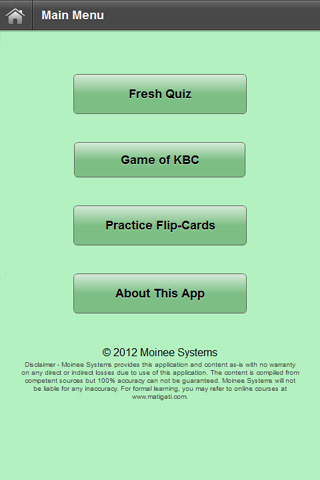 It has options to play quizzes in the form of KBC, Fresh Quiz and Flip Card. 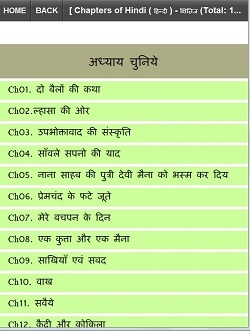 It comes with good set of offline data prepared by experts in relevant subjects, though it also has the option of using the online data, which is regularly updated, revised and expanded to improve the coverage.It has a common applicability for students of RBSE (Rajasthan Board) Class 9(Hindi Medium). This NCERT-9 app is part of Project Utkarsh joint Initiative by Moinee Foundation,Jaipur and District Administration & Education Department, Udaipur-Rajasthan. [Download] from Google Play for ANDROID. It is a hybrid solution, comprising of a mobile app and a server solution over internet. 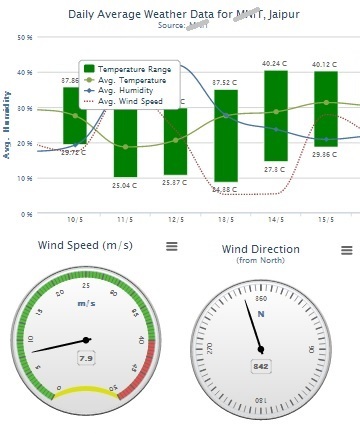 The app intercepts the live weather feed as an encrypted SMS sent from the weather stations via GSM module and ensures handshake with online server for the fail-safe syncing of weather data & integrity of the data model on cloud. Real-time data visualization happens thru a set of rich charting utilities. This app is designed to support easy, fast and mobile learning on the go, for apptitude related topics used in Campus Recruitments, off Campus and many competitive exams. You can choose the question set size as per your attention time span. [Play Online] as Web App. [Play Online] as Facebook APP. 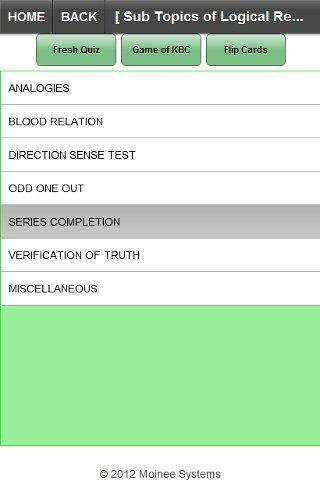 It's an app based on Aptimock - test simulation engine. On Campus Test Simulator is targeted to engineering students planning to participate in Campus Recruitment Events for tier 1 IT companies, though due to generic nature and content of aptitude tests it can be useful for other competitive exams. Topics covered are English, Maths and Logical Reasoning. Paper patterns are derived from the publicly available past tests papers of IT Companies like TCS, Accenture, Infosys, Capgemini etc. 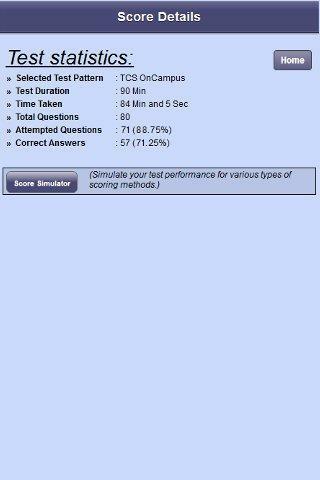 Users are allowed to attempt two mock tests using Lite version. For more practice, you can upgrade to the full verison. [Download] (Lite Version) from Google Play. [Download] (Full Version) from Google Play. 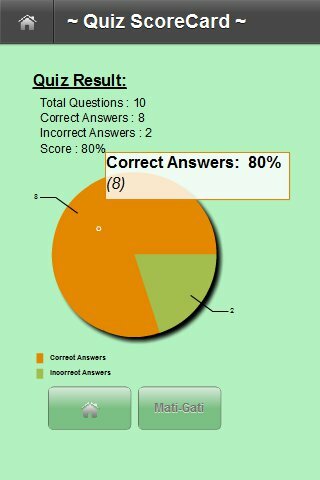 If you loved taking Gk quizzes than this app is for you, which gives you the set of over 1000 questions to build a unique quiz every time. These question are derived from the material used for UPSC civil services exam preparation.